To look at how we can reduce energy consumption, we need to look at the energy source. There are other blogs where we can look at heating consumption or appliance energy reduction, but we’re OEO and we know lights. Let’s see how LED can save energy and we might just see how it can also save you money. We start with a big decision for your commercial property. If you own a commercial building, then your lighting requirements will come under a strict code. You will need enough light to illuminate an industrial size property and that means a lot of bulbs. However, replacing your bulbs allows you to save up to 80% when compared to other industrial lighting options such as high density discharge bulbs. If you only switch half of your bulbs, you’ll only be reducing your energy consumption by 50% of said potential 80%. With the cost of LED light bulbs dropping as technology becomes more widely available, installation costs are also no longer prohibitively expensive. Installation fees might be a concern when changing to LED, but this won’t always be the case. In the minority of cases, you will have to install a new fixture. For the rest you have two options. 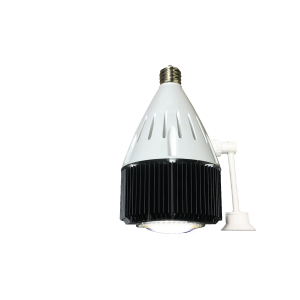 You can bypass the ballast in metal halide and high pressure sodium lamps with our retrofit LEDs. Alternatively, you can use our plug and play direct replacement bulbs to start reducing energy consumption immediately. Unlike HIDs which require a lot of time to bring the light to its desired intensity, LEDs will reach full light output in a fraction of a second. While this is handy in terms of not waiting to work, it also allows for another aspect. Motion sensors can be attached to LED lights so that they can be used only when a certain part of the commercial building is in operation. This reduces energy consumption as they will not be on when they don’t need to be. This not only saves energy and money, it can also act as an extra security aspect to prevent accidents and crime. Motion sensors aren’t the only technological advancement by which LEDs can help save money. LED lighting is more programmable than the majority of other lighting options, particularly in a commercial setting. You can program them to turn on at certain times of the day, so that they turn areas on only when needed. You can have different program settings for different operations, without having people to turn individual controls manually. Not only can you control turning LED lighting on and off, you can control the type of light output they create. For earlier in the day, you can have brighter white light and then let the light change as the day progresses. This can be controlled by light sensors, meaning the light bulbs themselves can gauge the amount of natural light and adjust the bulbs accordingly. No longer will lighting sources be wasting bright light unnecessarily. LED lighting does not require as much electricity to create the same light output as its competitors. It does not waste energy on heat. It will last much longer and not depreciate over time in the same way as HIDs. Having less energy means they are much better at using alternative energy sources such as solar or wind to power them without dropping in quality. While these lighting options can help reduce energy for commercial properties, let’s not forget this is not their only benefit. They are also safer and will save you money. Commercial property owners stand to help themselves, their customers, their workers and greater industries at large by making the switch to LED lighting. PreviousPrevious post:How Schools Can Benefit from LED LightingNextNext post:How is Efficiency Important for Industrial Lighting?